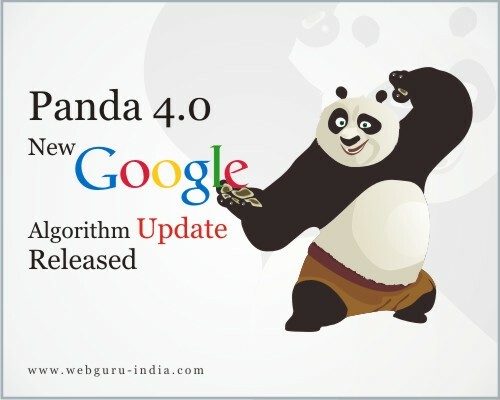 On 20th May, 2014, Matt Cutts from Google announced through Twitter that Google Panda algorithm latest version 4.0 has been released. It is believed that the primary reason for the Panda algorithm update release is to stop websites with poor quality of content achieve higher ranking in Google search results. The first Panda update was released on 24th February, 2011 and was basically designed to increase the number of good quality content websites in search results and push down websites with low content-quality. The latest update has definitely caused some stirs with webmasters still not aware of how this update is going to affect search results. Apart from the Panda update 4.0 another update was released by Google also known as ‘payday loans update’. The main reason behind this update release is to take care of particular search queries that return huge amount of spammy results. With the release of these two crucial updates, it is highly possible that some websites can get hit by both or by any one of the two updates. Speculations were on the rise regarding some changes with either Penguin or Panda before Matt Cutts announced the Panda update. There was plenty of buzz in the SEO world over the past few days as many were expecting some changes to be introduced by Google. It is still a bit early to judge how the recent update will affect site rankings because with every update some turn out to be winners and some as losers. It was previously announced by Google that they are not willing to introduce multiple updates within a short time period or at once but, the release of the two updates almost at once certainly make things a lot interesting. The quick release of the two updates has made it a bit hard for the webmasters to understand what has been specifically targeted with these updates. This also makes it a challenging task for them to know the changes that need to be made in order to recuperate search engine rankings. Some speculations are also stating that the Panda update release is aimed towards reversing damages that has already occurred to websites mostly because of on-page reasons but not poor content quality. While the light Panda updates keep coming after ten days in a month but Panda 4.0 is in no way a soft upgrade as it is believed to have widespread impact both in a positive and negative manner.